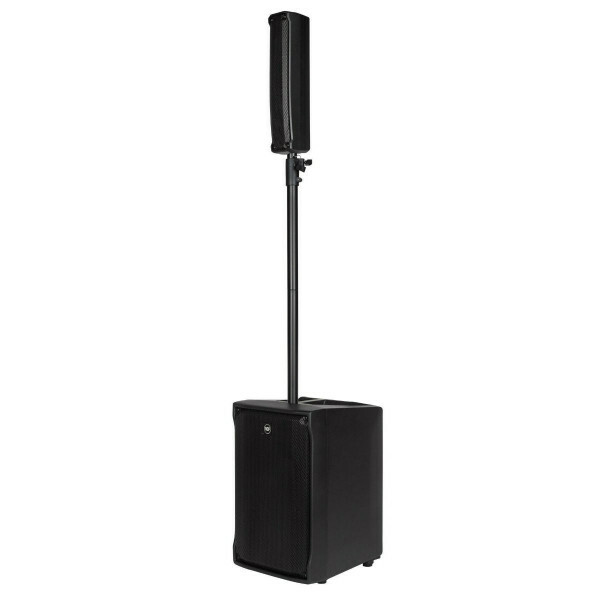 The RCF EVOX J8 Active Array PA System maintains a similar footprint to the original EVOX system, now in a more portable enclosure. 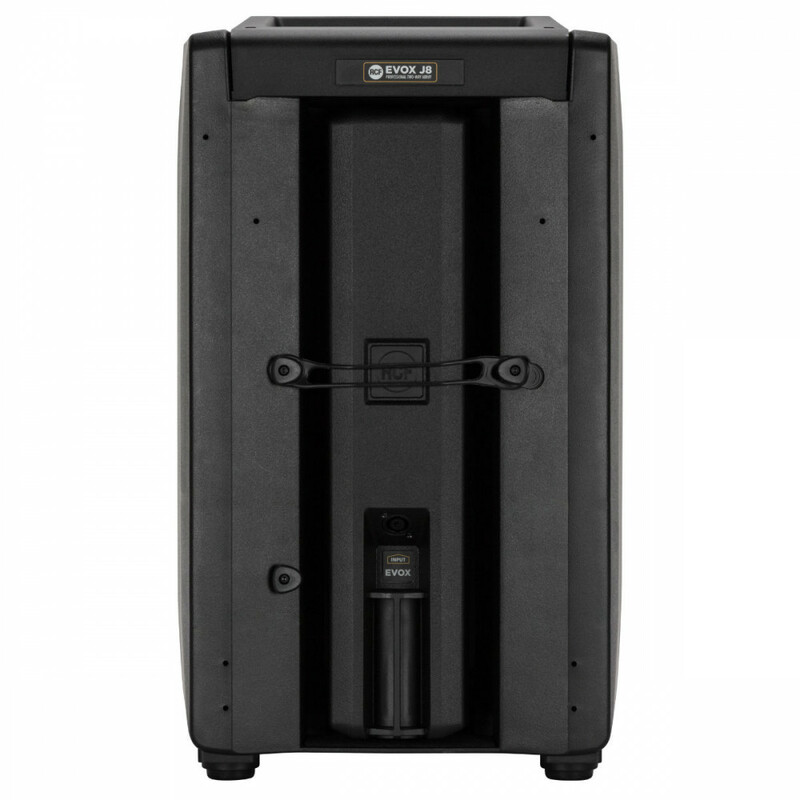 The RCF EVOX J8 Active Array PA System maintains a similar footprint to the original EVOX system, now in a more portable enclosure. The EVOX J8 offers stunning sound performance with crystal clear vocal reproduction and unparalleled musical response. 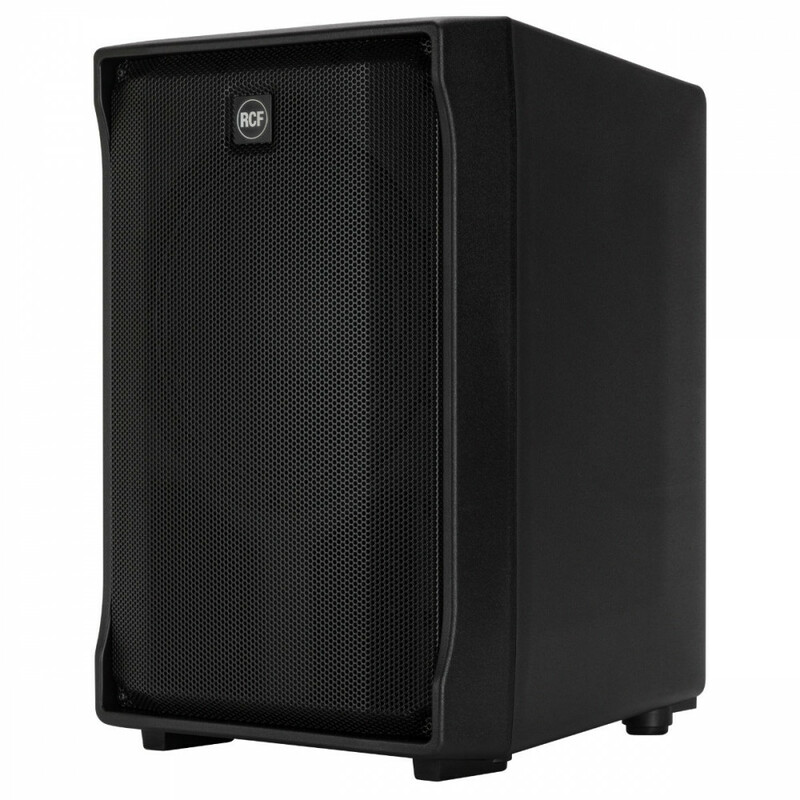 The J8 is an extremely versatile system ideal for solo musicians all the way to DJs playing to a large party. RCF J8 features a line source satellite module with eight 2” full-range drivers paired with a high-powered 12” woofer in a bass reflex enclosure. All powered by on-board 1400 W Class D amplification. The EVOX J8's ultra-compact full-range 2” RCF drivers are capable of handling high SPL and power with a stunning sound performance, and the high excursion 12” RCF woofer extends to the lowest frequencies offering quick and precise punch. The bass-reflex port design avoids air turbulence reducing distortion. The EVOX design features constant directivity coverage of 120°x30°(HxV), providing a perfect coverage pattern. 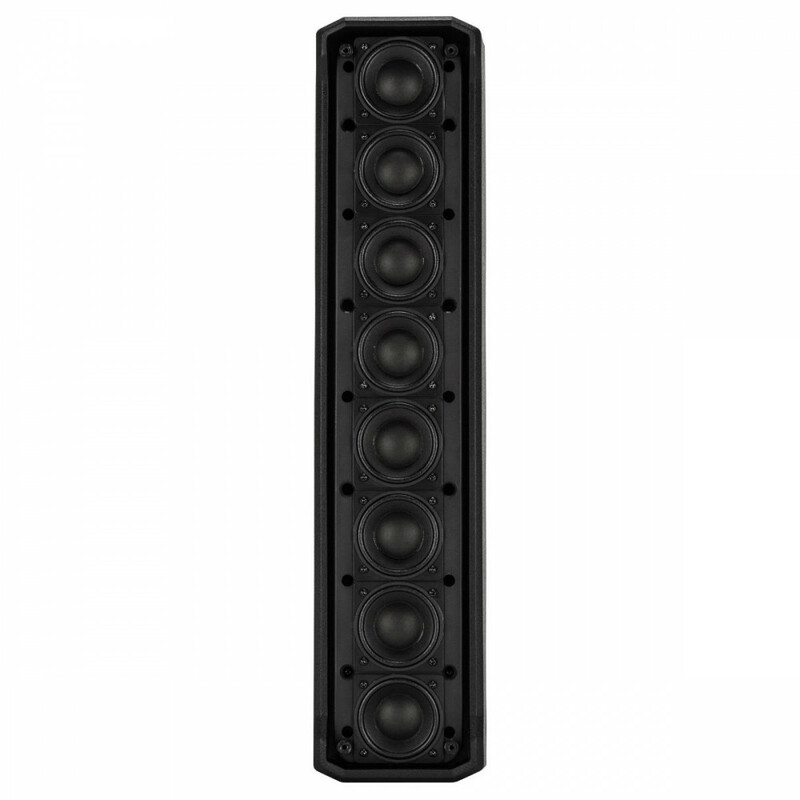 The vertical array is progressively shaped to guarantee consistent sound coverage from the first row to the last. 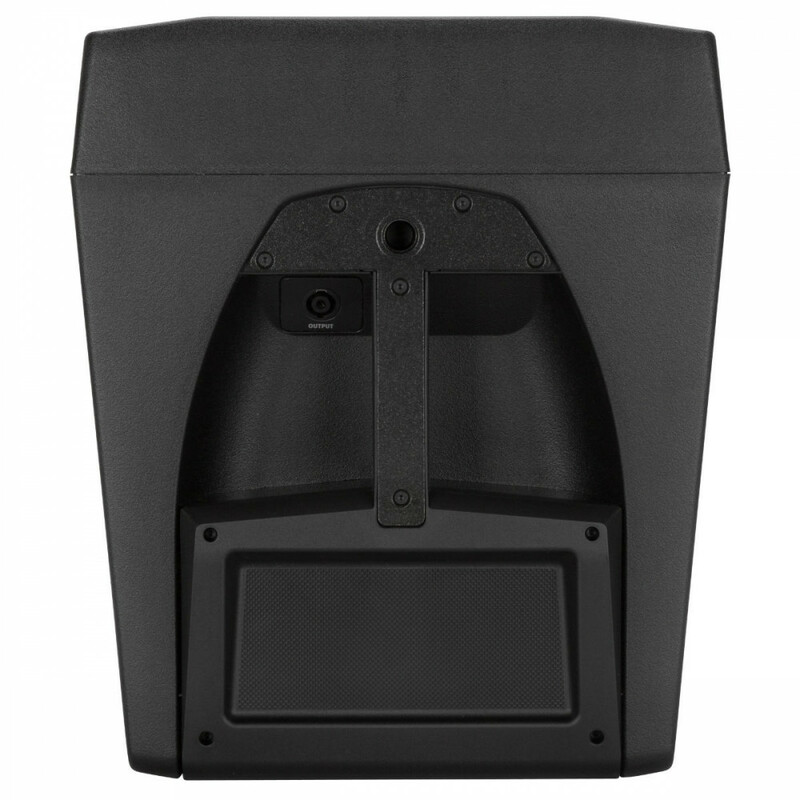 The system is extremely portable and easy to transport with the handle on top of the woofer’s cabinet. To set up just screw the pole into the pole mount on top of the subwoofer. 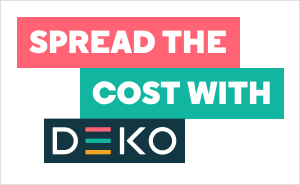 Insert the top column, connect the SpeakOn and it’s ready to go. An adjustable fastener allows the pole’s length to be adapted. 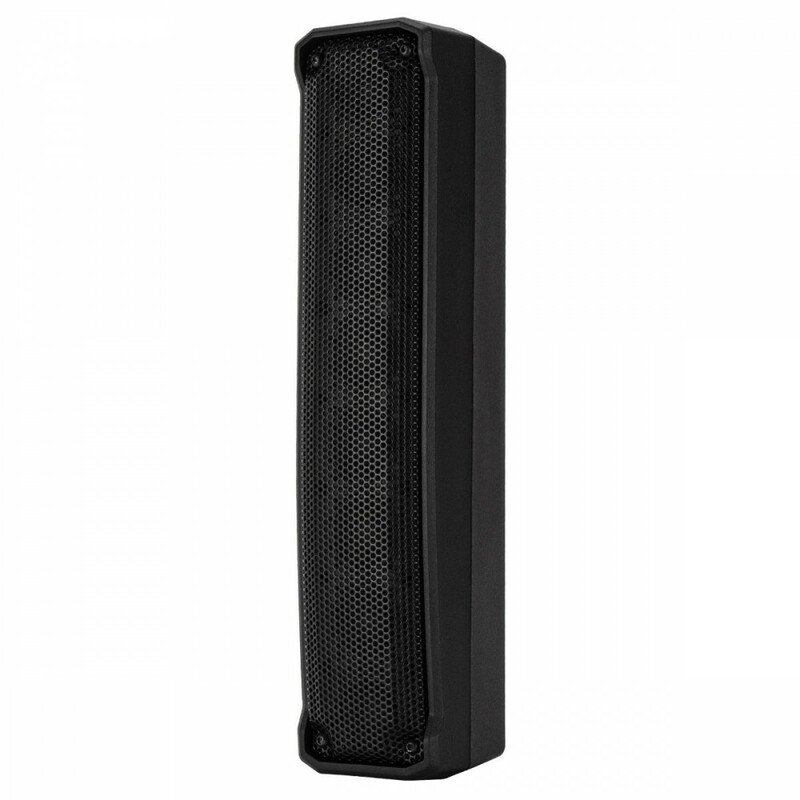 Seen the RCF EVOX J8 Active Array PA System Cheaper?